Bramhall Classic Autos is a broker of classic and modern bikes & automobiles. We source British, European and North American, classic and collectible vehicles. We market these vehicles world wide through this web site based in Toronto, Ontario, Canada. If you have a classic car for sale, you can advertise your vehicle on our web site, complete with photos and description. We also have the contacts and expertise to carry out complete pre-purchase inspections as a service for buyers. Maurice Bramhall & Associates offers a professional auto appraisal service for the valuation and appraisal of cars, motorbikes and trucks (stock or custom). Our reports are comprehensive and comply with the requirements of all insurance companies. Visit the Bramhall Classic Auto Directory for a listing of classic car related products and services in Ontario. Your opportunity to come into contact with other devoted enthusiasts who also take pleasure in the collecting, preservation and enjoyment of classic vehicles. From Antique Cars to Muscle Cars, Hot Rods to Classic Trucks, there is bound to be a Club for you. We invite you to find the perfect Club that suites your taste and offers activities and information that fits your interest. So take the driver's wheel and explore the over 2224 clubs throughout the U.S. and Canada listed here. Is about information and showcasing different aspects of the hobby. 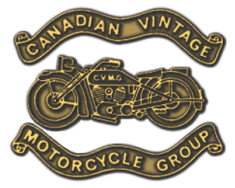 The Canadian Vintage Motorcycle Group (CVMG) is a non profit organization aimed at promoting the use, restoration and interest in older motorcycles and those of historic interest. The Wayback Times is Canada's largest print/web antiques & collectibles newspaper. Advertise in our print edition and web space, re e-mail addresses, website links etc. is free. FREE monthly news magazine for the mature reader.